Get ready to say He11o. Published on December 30, 2010 in Ten Network and Videos: Idents. 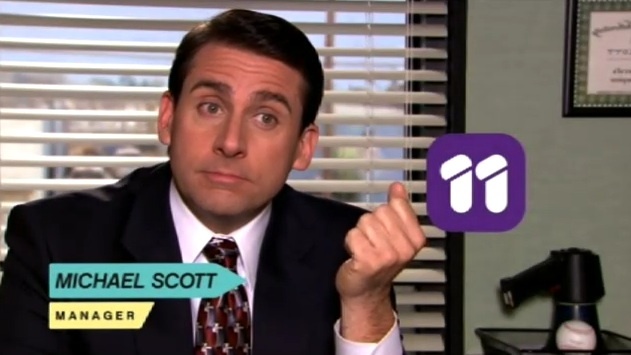 3 Comments Tags: eleven, one hd, simpsons, ten, ten hd, the office. 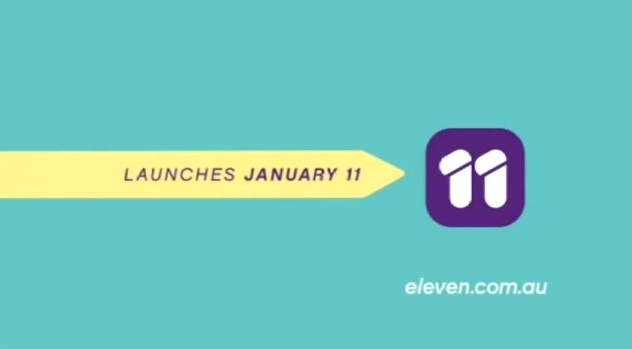 January 11th, 2011 will see the launch of a new free to air Australian television channel aptly enough called Eleven. The new channel will be the last (for now) of the free to air multichannels and the first general entertainment offering from Ten, who currently only offer a sports channel to compliment their main offering. 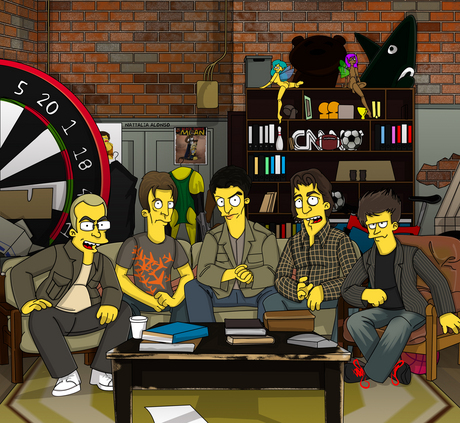 A joint venture between CBS and Channel Ten the new channel is aimed at the 13-29 year old crowd, and will become the new home of The Simpsons and long suffering soap Neighbours. Eleven is part of a larger strategic change within Ten that includes extending nightly news through primetime slots previously occupied by The Simpsons and Neighbours. As with all things the Ten Network do, this new channel has fairly spot on branding and targeting along with the programming to back it up. Something that can’t entirely be said for 7mate or GEM. The Simpson’s high definition debut. Published on February 16, 2009 in Videos: Openings and Videos: TV. 6 Comments Tags: simpsons. One of televisions most iconic opening sequences got its most dramatic and permanent update today. The Simpson’s have taken the leap into high definition, and used it as an opportunity to completely recreate the famous race home. Sticking to the basic premise that debuted back in 1989, the new sequence see’s the addition of countless secondary characters and a few in-jokes from the shows over 400 episode history. Channel 4’s truly alternative Christmas message. Published on December 27, 2008 in Channel 4 and Videos: TV. 5 Comments Tags: channel 4, simpsons, snl. Since 1993 Channel 4 has been offering viewers an alternative to the Queen’s Christmas message. With the likes of Ali G, Jamie Oliver and even Marge Simpson delivering a speech it’s generally been a rather tongue-in-cheek event. 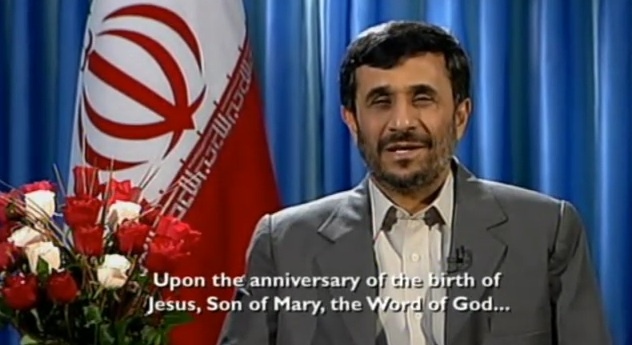 This year however Channel 4 decided to court controversy with their decision to approach Iranian President Mahmoud Ahmadinejad (who was so beautifully satirised by SNL here) to deliver the address. 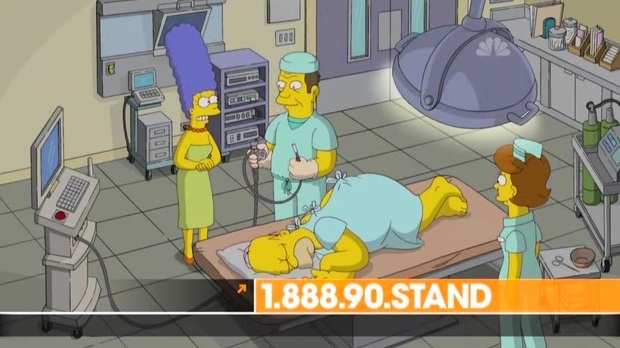 Homer Simpson gets a colonoscopy (for charity). Published on September 7, 2008 in American TV and Videos: TV. 2 Comments Tags: simpsons. In a rare show of solidarity, three of the big commercial networks in the US dedicated an hour of commercial free programming to broadcast the Stand Up 2 Cancer telethon. With the usual mix of serious appeal and humour, the highlight of the night was Homer Simpson’s fantastic voyage into his own colon. Marge Simpson asks: Can’t anyone just watch the show they’re watching? Published on November 19, 2007 in Videos: TV. 11 Comments Tags: fox, simpsons. Speaking of Simpson’s Halloween specials I couldn’t resist posting this. In an episode aired a few weeks ago, Marge gets sick of the Fox promos cluttering her screen and asks the very reasonable question ‘can’t anyone just watch the show they’re watching?’. At The Movies with The Simpsons. Published on August 2, 2007 in ABC1 and Videos: TV. 2 Comments Tags: abc1, at the movies, cinema, simpsons. 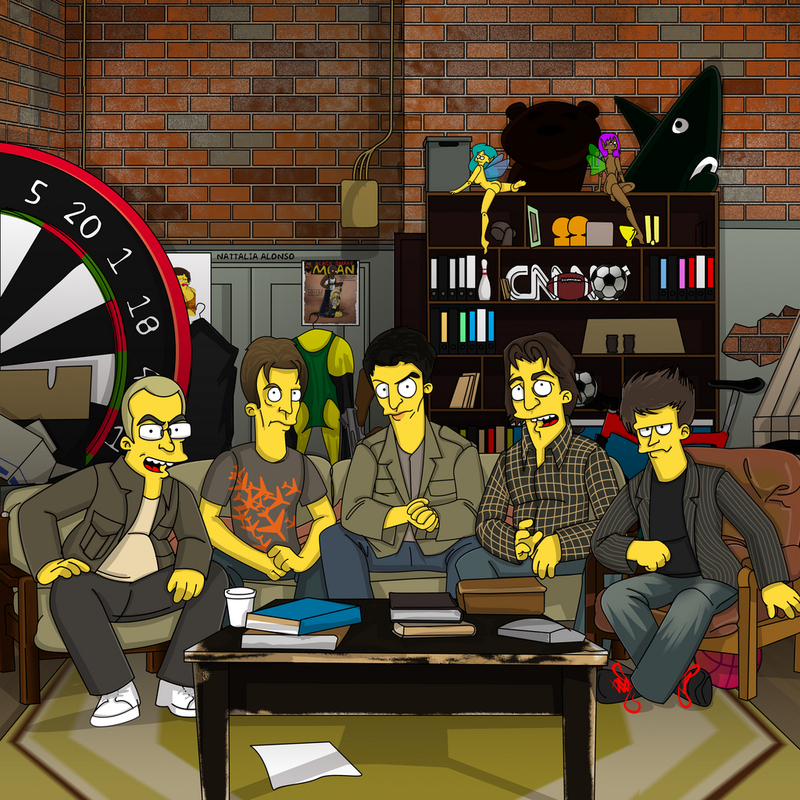 For someone who makes quite as big a deal about The Simpsons as me, I have to admit.. I still haven’t seen the movie, although not through lack of trying. Watch David and Margaret’s review above (and David’s virginity admission), or check out what Triple J’s resident critic thought about it here. The Simpson’s very own Channel 4 ident. Published on July 14, 2007 in Channel 4 and Videos: Idents. 13 Comments Tags: channel 4, simpsons. The Simpson’s have made their idents debut! Just a few hours ago this Gracie Films (shhh) produced trail made its first run on Channel 4 in the UK. As reported by the BBC, the ident is timed for the start of a new season on Channel 4, and of course the families upcoming feature length outing. Check out all the C4 idents here, and The Killers own ident here. 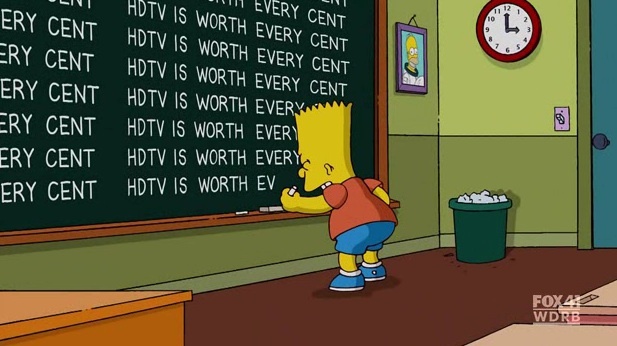 This isn’t the first time The Simpson’s have collaborated with Channel 4 though, to download Marge’s alternative Christmas message from 2004, keep reading.. The Simpson’s War on Everything. Published on May 21, 2007 in Videos: Chaser's War. 11 Comments Tags: chaser, parody, simpsons. I’ve been reading Watching with the Simpsons by Jonathan Gray over the past few days, and its helped me further appreciate The Chaser’s War on Everything. Gray talks about “parody’s potential to mock, make us laugh, and teach us all at once”, and I think that sums up the incredible power of good television, and good media in general. Parody, whether it be on The Chaser, The Office, or Arrested Development, uses our cultural literacy, or asks us to expand our cultural literacy to “get” the joke. I may have gone to university, but it was Triple J, the ABC, a bunch of downloaded television and Wikipedia that made me the person I am today, which is kind of scary, but also why I think a smart and challenging media, from television to the internet, is for a lot of people a really accessible way to make us all a little smarter. Update #1: I was at the taping of last nights episode, the Chaser guys displayed The Simpson’s image on the monitors in the studio for everyone to see. Chris was concerned he was portrayed with a bit more of a stomach than he deserved and Chas was grateful to be the tallest one in the group for once. They knew I was in the audience, and got me to explain the picture, everyone seemed to get a laugh out of it, it was a very cool night. Update #2: The Sydney Morning Herald picked up on it too, if you have the print edition check out page 22. Update #3: Turns out it got a mention on Triple J too. Download the MP3 here. Update #4: The Herald Sun wrote something on it today too, if you have the print edition check out page 25. I commissioned Nattalia Alonso to create the image for me, thanks Natt! Published on April 3, 2006 in Web Misc. 4 Comments Tags: simpsons. I was in a Rite-Aid today and took this picture, I don’t know why it seems so cool, I just love that Dove got Marge Simpsons (a cartoon character!) 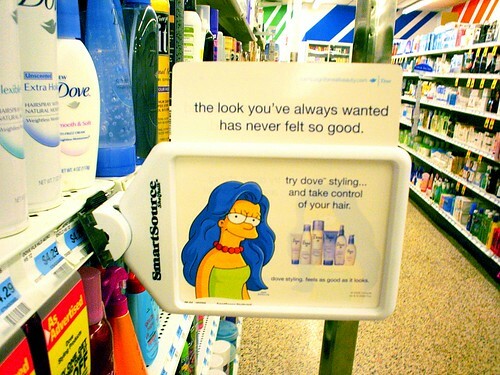 to sell their hair styling products.. she’s never looked better by the way. Feel free to email me, follow me on Twitter, or subscribe to the RSS feed or video podcast. Neil Melbourne on Fashion TV en Español. Manu Mateos on The new look ABC2: Always Brighter. Museful Mom on Channel 4: Born Risky. Hariz Zamri on ONE new channel from March 26th. Corey on Gloob launches in Brazil. A new lens for Bio. The movement of France 5. Jones! A new New Zealand channel. From Television Centre to Broadcasting House. Adam Hills’ Alternative Christmas Message. There’s always more to uncover. Merger baby: The birth of NBC Sports. See the big picture.. on Prime.